The kitchen appliances found in the home are often considered lifesavers to those who depend on them in their daily routine. For many, even the temporary loss of a fully functional stove or refrigerator would signal instantaneous stress and frustration. When that unfortunate moment arises it causes an immediate need for Kitchen Appliances Repair in Delta. 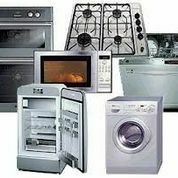 Our company is normally one of the first service providers the people call because we have a competent reputation for cost effective appliances repair. We specialize in home appliance repair options in the Delta, BC community. Nobody does it better because no one shares our same commitment to excellence on a day in and day out basis. Our appliances repair service is made up of expert technicians that know kitchen appliances inside and out. 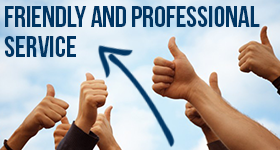 We have been providing this service so effectively for so long that it is now second nature to us. The skills we have developed over the years are now precision sharp and the experience gained through on the job contact have made us the company to call for service. Delta Appliances Repair is not your ordinary appliance service provider. We excel at kitchen appliance repairs because we pay strict attention to detail and continuously hone our skills. Our technicians respond urgently to every service call and we take intense pride in ensuring our vans are stocked with the appropriate tools and replacement parts needed to complete the mission. We care about our customers appliances and we wear that concern on our sleeve. Repairing the malfunctioning appliance in our customer’s kitchen is our number one priority. When customers in the community call Appliances Repair Delta they already know what to expect from our appliance service technician. Word of mouth travels fast and fortunately we are privy to many positive customer referrals. Whether we are issuing small appliance repair or servicing a huge refrigerator our technicians always make sure the project receives their undivided focus. That is how customer service should be.